To commemorate the end of the 1914-18 Great War, Westwood Cross is working with artist Sioux Peto to create a stunning community art installation at a site of historical interest within the shopping centre. 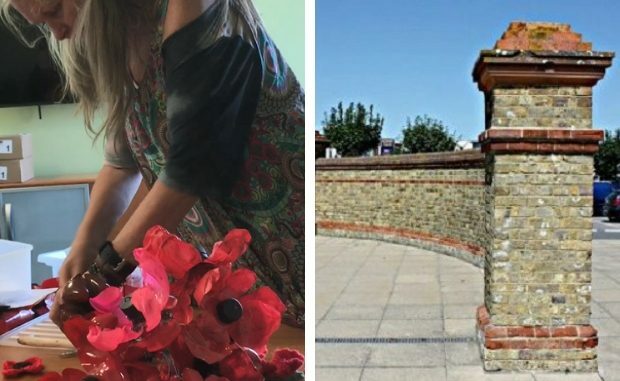 The Westwood Cross Poppy Project will see a wave of poppies adorn the Memorial Wall at the site of the old Haine Road Hospital which bears inscriptions from soldiers treated there. 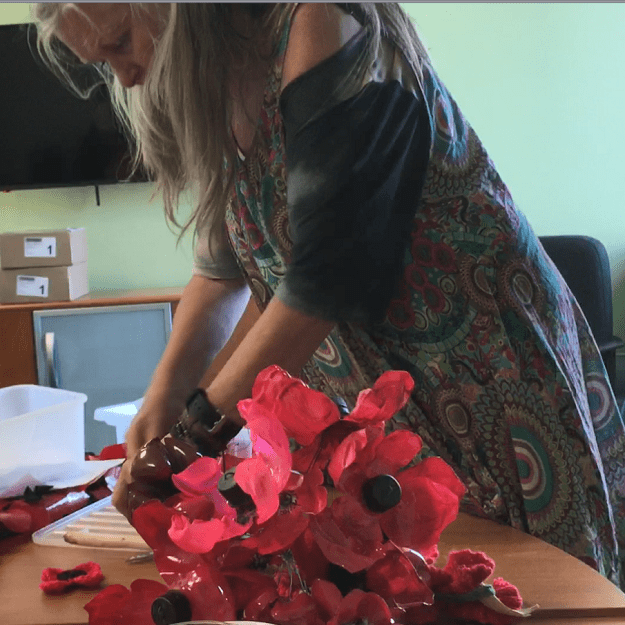 As part of the project, Westwood Cross is recruiting Poppy Ambassadors to attend workshops and learn how to create the poppies from recycled plastic bottles. The centre has a target to create 500 poppies and is calling on the community to get involved. Francesca Donovan, centre manager at Westwood Cross, said: “This is an exciting project and we can’t wait to bring the community together to create a stunning display to commemorate the end of WWI. The Poppy Ambassadors workshops are free, with the first two sessions taking place on Wednesday, October 10, between 10am-12pm and 1pm-3pm at Westwood Cross Shopping Centre. To book, email westwoodx@savillspm.co.uk with details of which workshop you would like to attend. Further workshops will be held from October 22 leading up to November 11. The project is raising funds for the Royal British Legion poppy appeal. 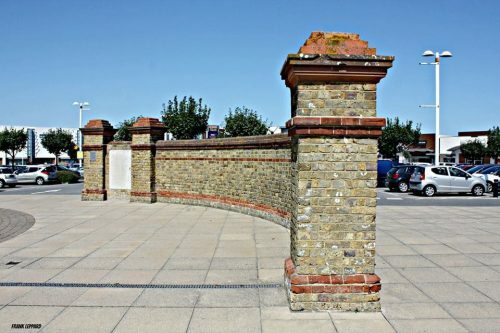 Westwood Cross is the site where the former Haine Hospital stood and the gateway wall with the foundation stone, including soldiers’ names scribed into the stone, is still in place. Haine Hospital opened in 1901 and was demolished in March 2004. The 110 bed Isle of Thanet Joint Isolation Hospital, as it was then known, began taking in patients in 1902. The isolation hospital took in patients with a variety of illnesses, which included chicken pox, diphtheria, dysentery, encephalitis, enteric fever, enteritis, erysipelas, rubella, measles, meningitis, mumps, pneumonia, polio, puerperal fever, purpura, scarlet fever, tonsillitis, trachoma, typhoid fever and whooping cough. One notable exception from this list is smallpox – this is because the Thanet Hospital Board had made an agreement with the Local Government Board in May 1894 that once the new hospital was completed, no smallpox patients would be allowed onto the site. In order to care for smallpox patients, a specialist facility was opened next to the Haine Hospital in spring 1902, this was known as the Isle of Thanet Smallpox Hospital. During World War II, the hospital was used to house injured servicemen, including airmen from the USA and Canada. 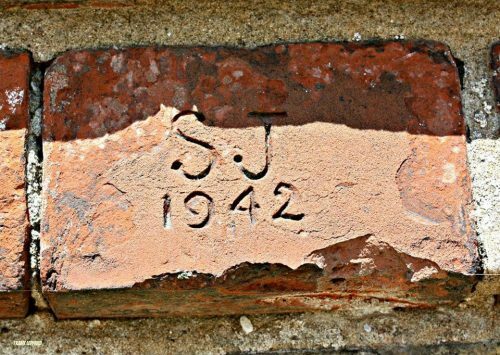 On the two curved walls that survived the hospital (now in the middle of Westwood Cross shopping centre car park) there are a number of engravings visible on the bricks, some of which were made by the wounded servicemen. 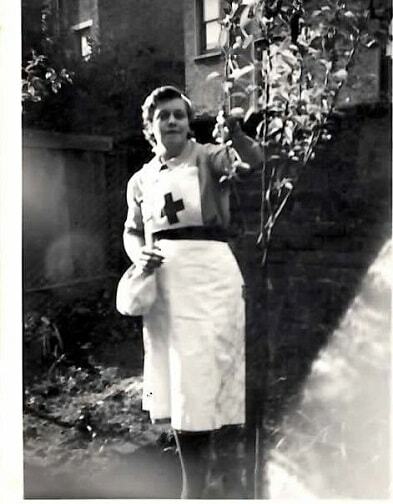 In 1948, with the establishment of the National Health Service, the Haine Hospital, as it was now officially known, began accepting patients from the Canterbury area and further afield. Starting from 1955, the hospital began to change its focus – admitting more and more chronically ill and geriatric patients. The Haine Hospital closed in October 1986, its remaining patients were transferred to other hospitals across the Isle of Thanet. The hospital complex lay abandoned and derelict until 2002 when the site was finally sold and development of the Westwood Cross shopping centre began.